This League Two season as had it all, last minute drama, a plucky underdog and a runaway winner. Northampton’s rise from the brink of non-existence to table toppers was quite a story along with favourites for relegation, Accrington Stanley, finishing 4th and missing out on an automatic spot in last minute heartbreak. Here is my opinion on the season, team by team. Once again, I may have been a tad harsh on Exeter with a grade D but from what some of their fans were saying at the start of the season, they genuinely believed that the play-offs could be achieved. In fact, Exeter are a side I really enjoy watching. They play the right way and the club is run very well, another academy graduate Tom Nicholls leaving for Peterborough in January proves how successful giving young academy players a chance can be. A mid season blip and a poor end to the season meant Exeter finished in a somewhat disappointing 14th but definitely a club I think is moving in the right direction. Only missed one game through out the season and was voted as Exeter’s player of the season. A poor start to the season may of made the Pool fans fear the worst after their great heroics the season before but a few good runs of form meant a mid table finish was achieved. I feel like Hartlepool should have been aiming for more this season, especially as Ronnie Moore had rebuilt so well after joining in December 2014. Ronnie Moore was actually sacked in early February and replaced by Craig Hignett. A very impressive March confirmed their safety but they will be disappointed they couldn’t push on after the previous season. The fans may be disappointed that Orient did not sneak a play-off position but after such a mess of a season the previous year, they should just be happy with a more stable environment which can definitely be built on and therefore they can challenge at the top end next season. In January Kevin Nolan was announced as a player manager and it had the desired effect as they won 3 of his first 4 games in charge. However rather strangely, Kevin Nolan had his manager duties relieved with the team only 2 points off the play-off’s and was replaced by Andy Hessenthaler. Orient finished 7 points behind Wimbledon and will look to push on next season. An impressive return of 25 goals left Simpson second, only behind Matty Taylor, in the top scorer standings and a similar return next season would surely see the O’s mount a serious promotion push. A poor couple of seasons will have Luton fans pulling their hair out, one of the pre-season favourites for two years running failed to improve on their 7th place finish last year. The experience of John Still was not evident, sacked before Christmas with Luton lying in 17th place, Nathan Jones was the man brought in to hopefully mount a play-off challenge. He improved their fortunes slightly but it was simply Luton’s awful home record which cost them, only 7 home wins all season, that of a relegation threatened side. Fortunately they found their fortunes on the road a lot more fruitful with 12 wins and 3 draws. However, I can see them doing a lot better next season with a young, ambitious coach like Jones and you would expect them to be there or thereabouts during next season. He played the second most minutes out of any other Luton player this season and contributed 12 goals from midfield, At the age of 21, Luton will definitely be looking forward to see how McGeehan can progress. The season will definitely be deemed a success for Mansfield who probably expected a season of toil, the Stags performed admirably and finished in a comfortable mid table place. In fact at one point the play-off’s looked possible for Mansfield however a poor run of form at the end of the season cost them but still a massively positive season after only returning to the Football League the season before. In Paul Murray they have a young and hungry manager and another comfortable finish in the middle of League Two would be deemed a great success. An impressive return for Matt Green who rejoined the club he previously left two years ago, scoring 16 goals in the process and playing more minutes than any other Mansfield player. One way of summing up Morecambe’s season would be, a season of two halves. Winning 10 games by the beginning of December, they would only win 4 more games in the rest of the season. This could be blamed for the hectic schedule they had to ensue after only playing 4 games in a normally busy December. Morecambe probably would’ve took safety relatively comfortably at the start of the season but a torrid second half of the season which included a 7-0 loss to Cambridge must worry the fans. I really do think Morecambe could struggle again next season and will do well to stay in the Football League. The 37 year-old veteran has been a mainstay in the Morecambe side for a few years now and once again popped with a handy 9 goals from the wing. Newport will feel like a 22nd place finish is a relative success and something they can build on from next season. 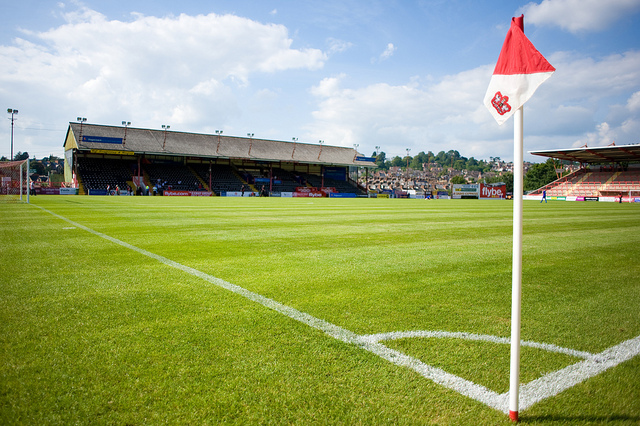 Newport were one of the teams tipped for the drop at the start of the season after the departure of chairman Lee Scadding, meaning finances would be rather tight. It looked bleak for Newport and former England international Terry Butcher was sacked on the 1st of October gaining just 5 points from their first game games, a tally which left them rock bottom of the Football League. A 2 month unbeaten run between October and December ensued and was key in keeping the Welsh side up. The season ended poorly without a win in 12 which may concern some and I really cannot see Newport doing much more than safety next season. Boden notched 13 goals in a goal shy team which only scored 43 goals all season (joint lowest in the division). Northampton entailed a truly remarkable season. the club was destined for extinction at the start of the season before going on a truly incredible journey. 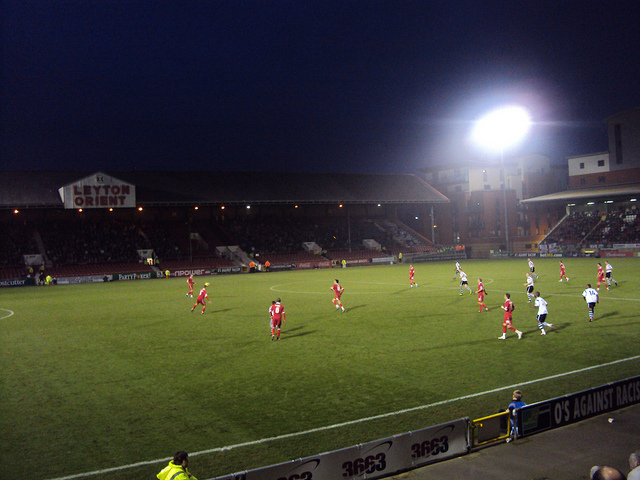 The Cobblers avoided liquidation after Kelvin Thomas completed a takeover in late November before going on to the win the league by 13 points. Northampton only lost five league games all season which included their first two games of the season. They didn’t lose once in 2016 in the league, going on an 24 game unbeaten run. The departure of Chris Wilder and Alan Knill to Sheffield United will perhaps leave a sour taste but the appointment of Rob Page from Port Vale is an exciting appointment and the club looks in a good place, especially compared to where it started the season. Trying to choose a stand out player from this team is virtually impossible when the whole squad did so well. Although Adam Smith’s inclusion in both the ‘League Two team of the season’ and the ‘Football League team of the season’ means he just pips it for me. What do you make of your teams grades? Let us know in the comments below!